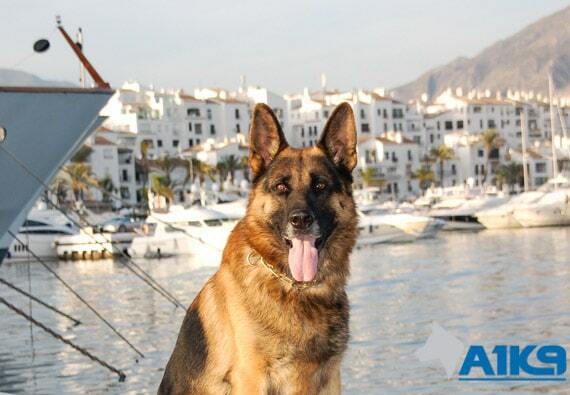 A1K9 is Committed to Delivering The Highest Possible Standards Both in Terms of The Personal Protection Dogs We Supply and The Quality of Service We Offer to Our Customers. As a company, A1K9 have now specialised in training and supplying personal protection dogs and family protection dogs for over 20 years. This commitment has underpinned the company's growth over the years and so has our approach of continually seeking improvements for our training methods. These changes reflect changes in society and to prepare our dogs for the types of crime our clients may become potential victim of. Refinement of standards in the business are key to keeping A1K9 at the leading edge of this niche industry, after all, there are no points to be gained for being second best! A1K9 only purchase dogs from trusted sources and proven blood lines, many from selected breeders across Europe, as we believe that the starting point for ensuring our dogs can provide clients with what they want is by starting with the best raw materials. They are assessed first hand by the directors of A1K9 where they are subjected to rigorous testing to evaluate their ability and temperament. They are then thoroughly vet checked, hip and elbow x-rayed before being purchased and imported into the UK. Even before they arrive at A1K9, many of the dogs will have already received conditioning training for at least seven or eight months in top class facilities in Europe. Upon arrival in the UK, our highly trained specialist A1K9 trainers then put the dogs through the most thorough canine training programme in the world for personal protection dogs which lasts for at least another six months. The upshot of this is that all A1K9 protection dogs receive a minimum of 12 months training and conditioning. 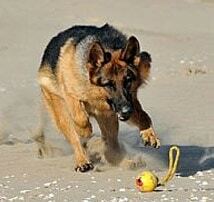 To provide contrast, a basic GP course for a UK police dog lasts around 12 weeks. Our dogs are not even marketed or offered for sale until we believe we can fully guarantee that they will meet or exceed the high expectations of our clients. This is where our commitment to excellent customer service starts. We take great care to ensure the perfect match between the dog and client taking into account the client's lifestyle, personality, family, home environment and their individual requirement for additional security. Having matched a dog with its prospective new owner, we spend a minimum of two days, providing a comprehensive handover where the client is tutored in correct and safe handling skills while giving the dog a chance to get used to his new master. This handover training is normally carried out at our base in Wales but can take place at the home of the new owner, whether in the UK or overseas. Ensuring a smooth hand over is crucial as it forms the foundation for the new relationship between our trained protection dogs and their new families. Our after sale service continues over the lifetime of the dog, as A1K9 offer a full back-up service for clients and while we get very few problems with the dogs we supply, it can be comforting for the customer to know that we are always on hand to provide support and help if required; seven days a week. Our Commitment to Customer Service Extends Long After We Sell a Dog, Which is Probably Why Most of Our Clients Come From Word of Mouth Recommendation. As a company, we go the extra mile to cater for the needs of our clients; we often hand over protection dogs and provide refresher training in other countries around the world. Our refresher training service is for the dogs themselves and is something that we advise should be carried out annually in order to keep these highly trained K9's at the top of their game. It is a service that is popular with clients when they go on holidays, as rather than board their dog in kennels, they can leave their A1K9 with us to brush up on its skills, in a familiar environment and with people it knows. 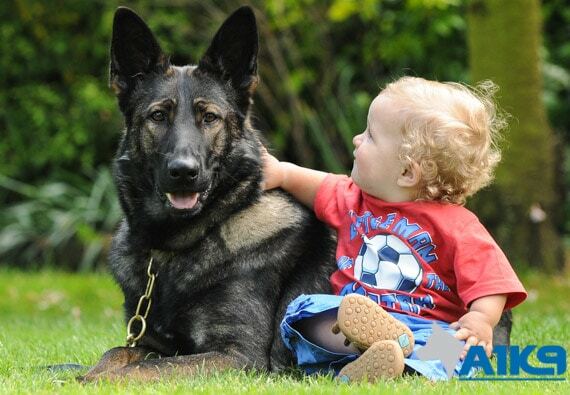 It is not by accident that we have gained a reputation for supplying reliable top quality personal and family protection dogs. As a company, we go the extra mile to cater for the requirements and needs of each individual customer, not just at the point of purchase but through the lifetime of the dog. 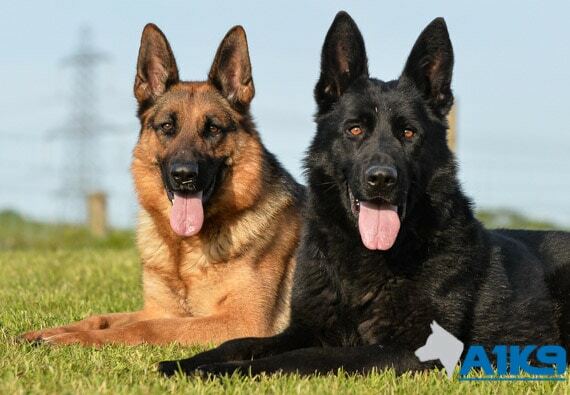 We have supplied over a thousand trained protection dogs over the years to discerning clients both here in the UK and worldwide and both the quality of our dogs and our high standards of customer care and service have become the foundations upon which A1K9 was built and has continued to grow. 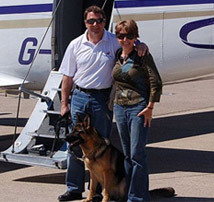 If you are considering purchasing a personal protection dog, we would invite you to read through some of the testimonials that we have received over the years. There is no better recommendation than one that comes from an existing client.